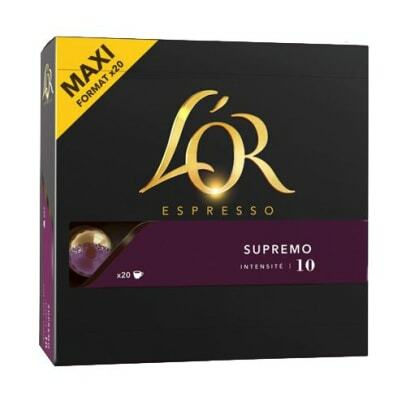 L'Or Big Pack Supremo is a dark roasted 100% Arabica espresso, with a smooth aroma and lovely notes of hazelnuts, oak and chocolate. 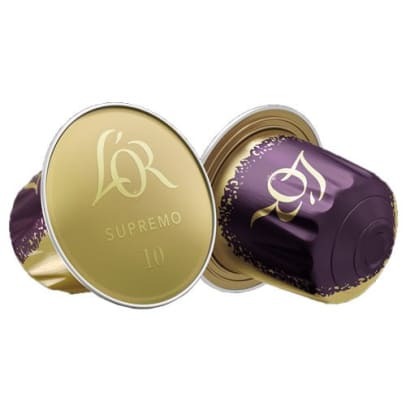 This delicious coffee will impress you with its velvety layer of crema and its spicy flavor. Enjoy the espresso with good friends or get a break and treat yourself. 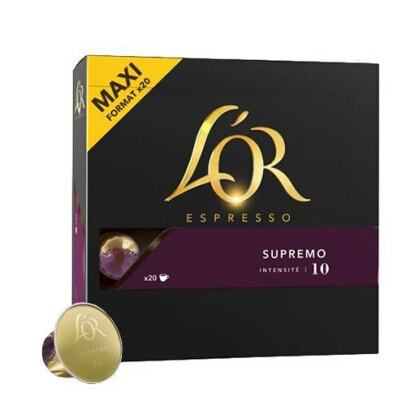 This is a big pack where you get 20 capsules of L’Or Supremo. En av de bedre kapslene. Noe bitter og god passering. 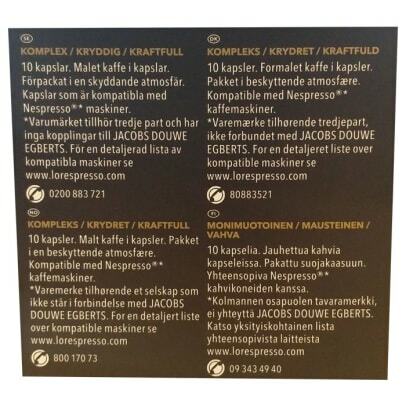 Väldigt trevlig smakupplevelse, köper gärna igen.